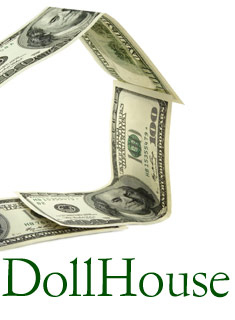 Next up at New Rep is "DollHouse," a drama by playwright Theresa Rebeck, based on Henrik Ibsen’s "A Doll’s House." Performances are set for February 17 - March 20 at the Charles Mosesian Theater at Watertown's Arsenal Center for the Arts. Directed by Bridget Kathleen O’Leary, the production features Jennie Israel, Will Lyman, Diego Arciniegas, Jennie Israel , Gabriel Kuttner, Claudia Q. Nolan, Julian Schepis, and Cheryl Singleton. Making her New Rep debut is Sarah Newhouse as Nora. Set in suburban Connecticut, this contemporary adaptation of Ibsen’s classic follows the iconic Nora as she struggles to preserve her seemingly perfect life. Nora’s “happy home” is compromised when a man from her past unexpectedly resurfaces and threatens to reveal her secret. Nora must decide between her idyllic world and a life she can truly claim as her own. Kate Warner, New Rep’s Artistic Director, commented, “New Rep has always been dedicated to reviving classic texts and revitalizing them for today’s audiences, and I am excited to bring Theresa Rebeck’s clever, modern adaptation of Henrik Ibsen’s 'A Doll’s House' to New Rep’s stage." Theresa Rebeck's work included "Mauritius" (which played at The Huntington prior to its New York run, "The Scene," "The Water’s Edge," "Loose Knit," "The Family of Mann," "Spike Heels, "Bad Dates," "The Butterfly Collection," "Our House" and "Omnium Gatherum." Her newest work, "The Understudy," premiered at the 2008 Williamstown Theatre Festival, ran in New York at the Laura Pels Theater in a Roundabout Theatre Company production as part of their 2009 - 2010 season and was recently presented by Lyric Stage Company of Boston. For tickets and information, stop by the box office at the Arsenal Center for the Arts, 321 Arsenal Street in Watertown, call 617-923-8487 or visit www.newrep.org. Free parking is available in the parking garage adjacent to the theater.